We're still getting a few orioles coming by, but it doesn't look like we'll have an oriole nest. It could be because all the other birds have found the food we put out for the orioles. 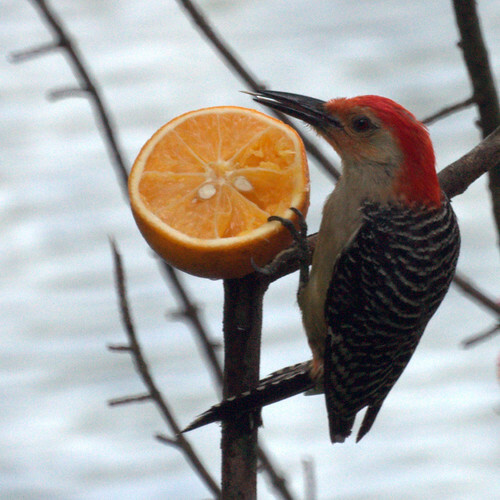 Here a red bellied woodpecker is at the orange and even the orange half filled with jelly. 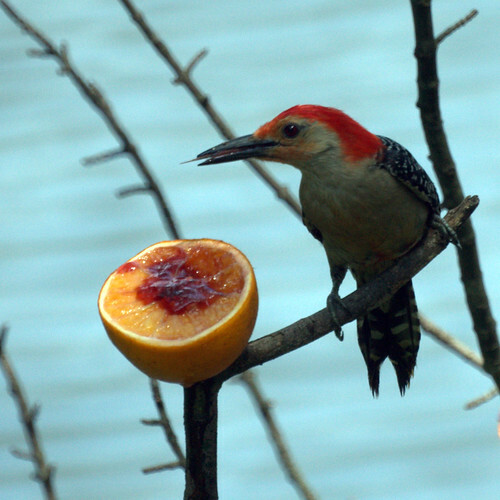 They also are switching back and forth from the peanut flavored suet to the jelly for a good old fashioned pb&j! 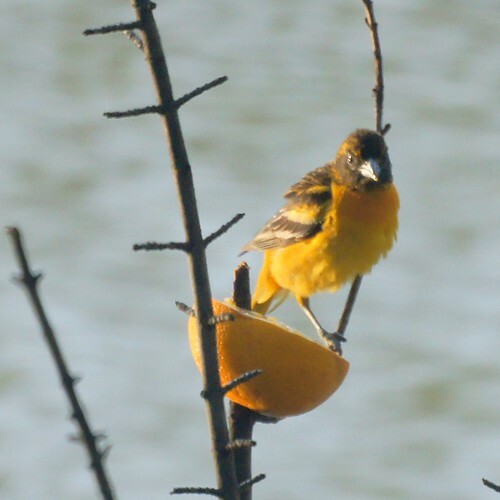 Later in the day, a male oriole returned, but we haven't seen a female yet in our yard.